PAY FOR WHAT YOU USE, NOT WHAT YOU ORDER! 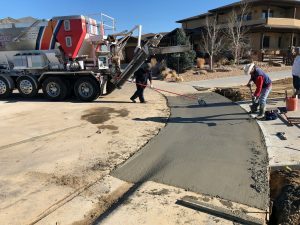 On-Demand Concrete demolished a sidewalk then poured 5cy of high early strength 4500 psi concrete so the customer could drive on it in just a few days. 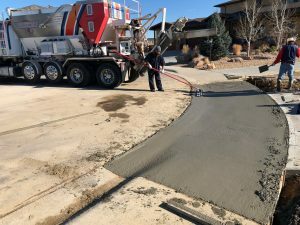 With our state of the art volumetric concrete truck we were able to mix the exact quantity the customer needed and to the specifications they wanted. This means fresh concrete mixed in minutes on site. The customer didn’t pay for extra concrete they didn’t need and has a stronger, more reliable product.